The Freethought Society is pleased to host as its next speaker Larry Robin, the former president of the oldest independent bookstore in Philadelphia until it closed in December 2012. Robin’s presentation, Scott Nearing: The Making of a Radical, will take place on Monday, September 29, 2014 at the Ludington Library (5 South Bryn Mawr Avenue, Bryn Mawr, Pennsylvania). The event starts at 7:00 PM. It is a free and open to the public event. While very few people have heard of Scott Nearing, Robin considers his legacy an important topic for all freethinkers and the public at large. “I met Scott Nearing in 1961 when I was 18 and he was 78. I knew him for 22 years until he died on August 24, 1983, at the age of 100 years plus 18 days,” says Robin. Robin went on to say, “Nearing is right after Thomas Paine in my list of heroes. With doctorates in Economics and Sociology, Nearing was fired from the University of Pennsylvania after writing the first book on child labor in the United States. That was in 1914. Nearing was arrested for sedition when he wrote a pamphlet against the draft for the First World War in 1917. 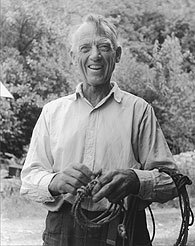 The author of hundreds of books and articles on economics and politics, Nearing and his wife Helen wrote Living the Good Life, about self-sufficient homesteading. It became the handbook for America’s “Back to the Land” and “Simple Living” movements. Robin is the co-founder of Moonstone Incorporated and the director of the Moonstone Arts Center. 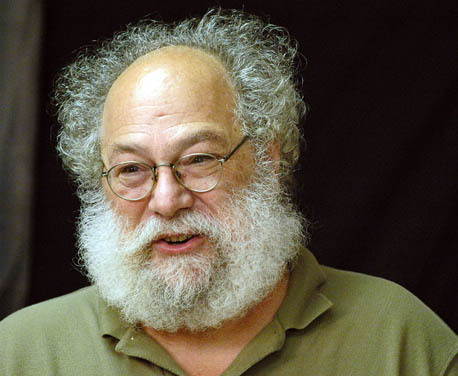 He has served on the boards of the Pennsylvania Center for the Book, the Read Aloud Coalition of Philadelphia and The American Booksellers Foundation for Free Expression. Robin has served on the literature panel of the Pennsylvania Council for the Arts and is a member of the advisory boards of The Mayor’s Commission on Literacy, and the Philadelphia Ink program of the Pennsylvania Humanities Council’s Year of the Pennsylvania Writer and Art Sanctuary. For 18 years, Robin created and directed The Celebration of Black Writing. He also directed The Paul Robeson Festival for eight years. For 18 years, Robin has been credited for Poetry Ink and various other Moonstone programs. He currently produces poetry programs and, since 2009, The Hidden History Project. The Living History Project is a citywide festival celebrating the life and work of social activists, such as John Brown, Frances Harper, Martin Delany, Ida B. Wells, and Charlotte Forten.